It is based on application (coating) of powder paint to the metal layer. It is based on application (coating) of powder paint to the metal layer. Electrostatic or electro-kinetic spraying technique is used for powder coating. Then components are annealed in furnace and covered materials gets aesthetic features, very good anti-corrosion properties and its resistance to mechanical impacts is increased. 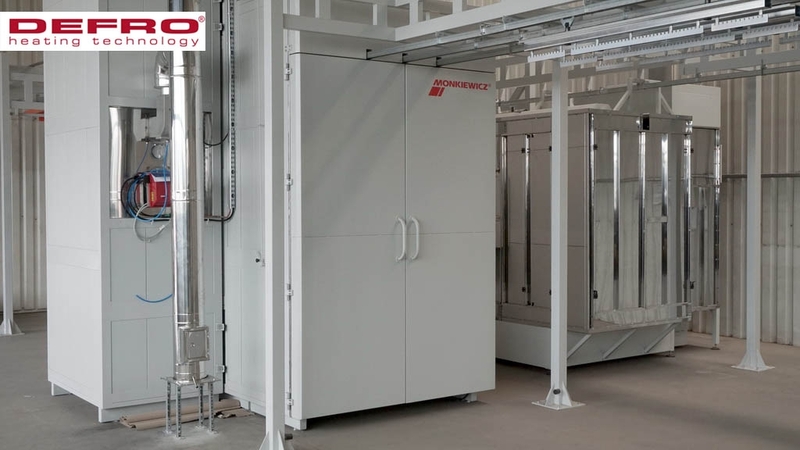 The most modern process solutions used in the spray booths allow adaptation to the requirements of the European Union, improvement of OSHA conditions in the company, limitation of use of noxious substances and saving money and improvement of quality of painting. Technological advancement of cab is also based on use of electronic control what ensures possibility to program time and temperature of venting phases, minimization of temperature fluctuations during varnishing and drying. Moreover, the cab is equipped with turbo-fans and heat exchanger what ensures obtaining very high operational parameters. Important thing is also unique, patented air recirculation system, during which 90% of heated air circulates in closed system and only max 10% of air is taken from outside, what significantly influences costs of process.